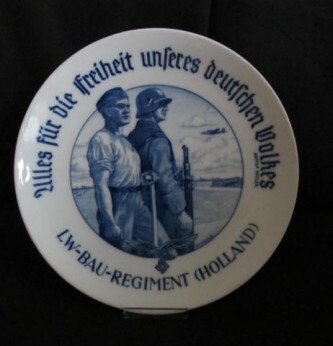 Beautiful quality Meisen regimental presentation plate in blue and white glaze for a Luftwaffe. 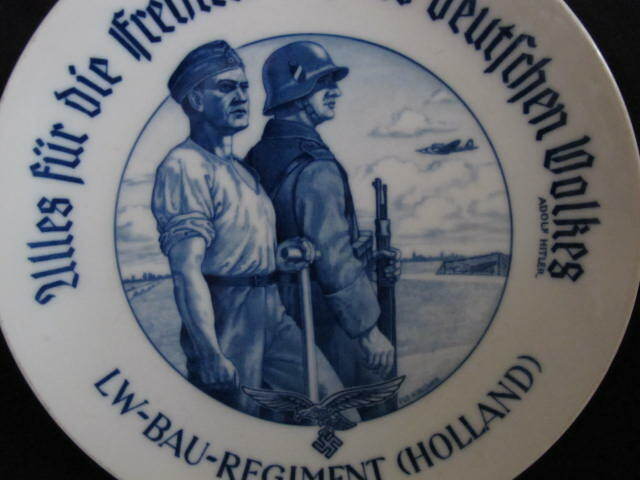 bau.regiment Holland. 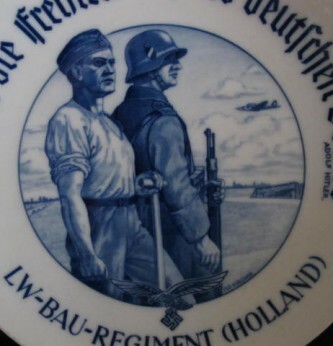 Plate measures 26cm in diameter and shows helmeted Luftwaffe soldier carrying K98 and another Luftwaffe soldier with German aircraft in background. 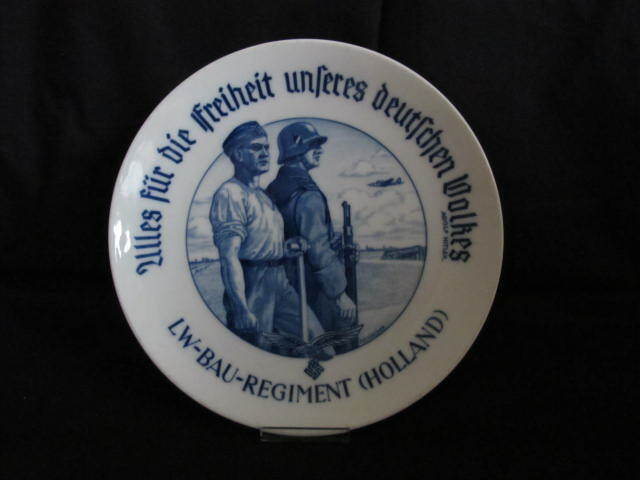 Specially produced by the Meisen company to commemorate the occupation of Holland. 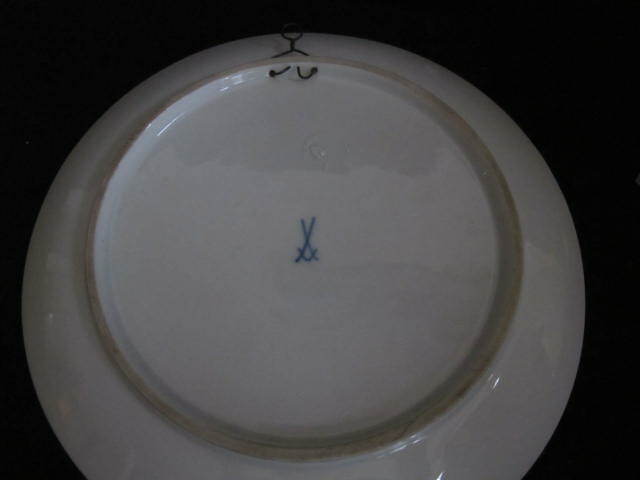 Back with Meissen crossed swords glaze mark. 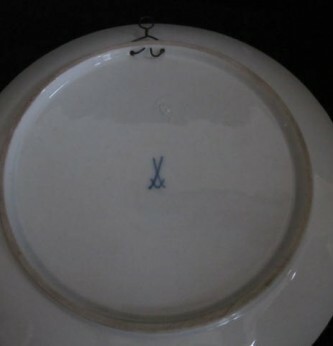 Perfect un-damaged plate complete with hanging hook wire.